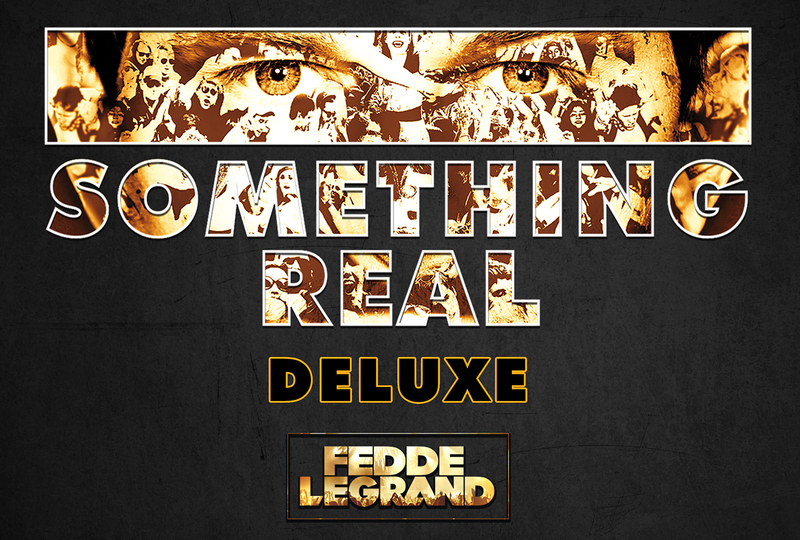 Fedde Le Grand polishes off one of his most successful years to date with the release of the Deluxe edition of 'Something Real', his fourteen track album that dropped in February of this year. Unheard material includes includes an extended mix of 'Pity Love', one of the album's standout tracks, and a remix from Darklight Recordings' rising star, Zilverstep. The remix takes the track into more funky realms, and injects a fresh energy to the album's opening number. Coupled with these come new music videos for five of the album's tracks, including 'Beauty From The Ashes', 'Lost' and 'Miracle'. These visual accompaniments vary in style, from a superhero bulldog in 'Feel Good', to pop-art visuals in 'Give Me Some'. Check out the online available video's here. If this isn't enough for fans to get their teeth into, Fedde has also attached a six minute recap video of GRAND 2.0 - The Next Level In Dance, which was brought this time around to the 15,000 seat Ziggo Dome in Amsterdam earlier this year. The video gives a snapshot of the high-energy show, which blended live vocalists, moving stages, indoor fireworks and acrobats, all to the tune of Fedde's exquisite music selection. It's been quite the year for Fedde Le Grand. With headline performances at Ultra Miami, Ultra Japan, Ultra Korea and Ultra Europe, a massive Tomorrowland Daybreak Session and if you can't get enough of the live action, then check out out the recap of his 5hrs of Solar Summer part 1, part 2 and part 3. Also dropping his first album for seven years (with a European, Asian and American tour off the back of it), Fedde has accomplished more this year than most manage in their whole career. The Dutch superstar DJ doesn't look like he'll be slowing down in the new year either, with an exciting collaboration set to drop in January, as well as lots of unreleased music, new Darklight Sessions podcasts, and international performances, 2017 is set to be Fedde's biggest year to date.